NEW TO MARKET! Absolutely Stunning 3 Bedroom, 2.5 bath Seaside Home! 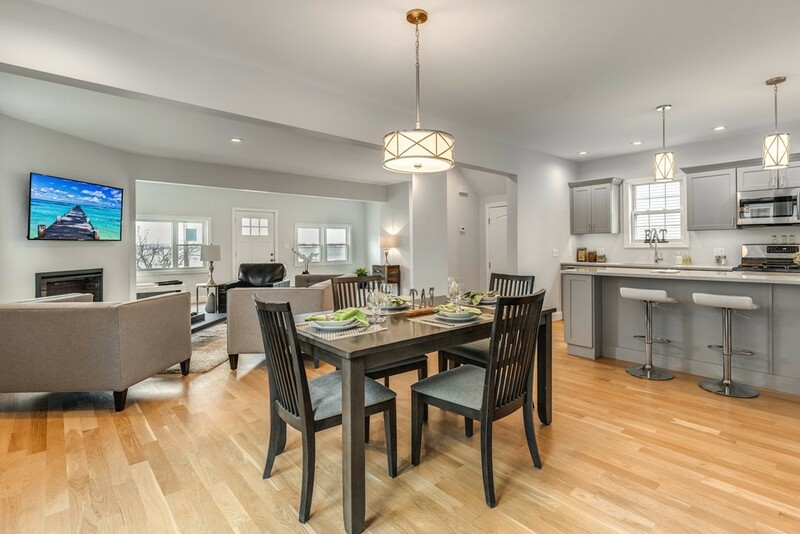 First Floor is Modern Living at it's very finest with a front to back open concept layout. Featuring new Oak Hardwood flooring, LED lighting, Ornamental Fireplace with TV above. Modern Shaker Style Cabinetry, Oversized Kitchen Island with seating for 6, Under cabinet Task Lighting, Quartz Countertops and Stainless Steel Appliances including built in Wine Chiller. Master Suite Offers a wall of windows overlooking the Ocean and Beach, vaulted ceiling and a luxurious En Suite. Cedar Impressions Vinyl Siding, New Architectural Shingle Roof, Harvey Windows, All New Plumbing, Electrical, On Demand Tankless Hot Water and High Efficiency Central Heat and Air Conditioning. Truly a must see with nothing to do but move in and enjoy the views and seaside lifestyle in beautiful Nahant.